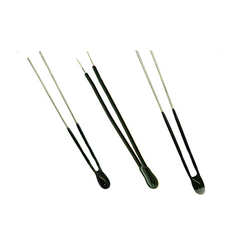 We are one of the most reliable companies in this domain and are into offering NTC Thermistor Sensor. Knowing us a renowned organization, we are engaged in offering our quality range of Microprocessor Sensor to meet the demands of our clients. This Microprocessor Sensor is manufactured under the strict administration of skilled team-members, who vigilantly monitor the complete production process so as to ensure their excellence. Deem Sensing Technologies Pvt. 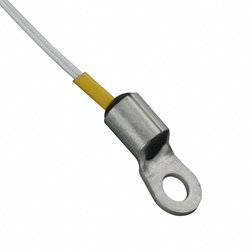 Ltd.
Our excellent thermistor temperature sensors are compatible with a variety of applications and customizable. Application Examples Various in-vehicle equipment (car air conditioners, air flows), air conditioners, bidet toilets, microwave ovens, refrigerators, etc. A Basic model of NTC Thermistor with EPOXY coating, black colour with flexible lead wire.Wire type and length as per customer requirements available with and without connector housing. Advantage : Accurate & Low Cost. The Elpas Internal Thermistor-Temperature Sensor is a supervised Active RFID Tag that provides wireless remote monitoring of environmental sensitive assets or environments that require ambient temperature range compliance. A full range of thermocouple, RTD and thermistor sensors are available for integration into the heater construction or mounted remote to monitor process or heater temperature. Viconics’ precise 47Kohm thermistor sensors are a proven product line used with all Viconics T900 and C1000 series thermostats. The room mount models use the same enclosure as the aforementioned thermostats for a uniform look.